The illuminated AD Series offers a complete switch solution for all your audio panel needs. Long travel of 4.5mm (standard) for AD01 or shorter travel of 3.5mm on the AD02, actuation force of 250gF. Contacts with gold plating on the SPST NO push button switch assure high reliability and long life of 5,000,000 operations typically. 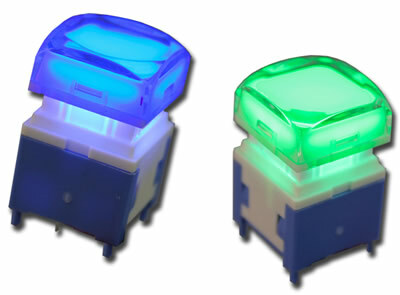 Also offering a large variety of lens and diffuser options, color choices for the LED push button switch are red, green, yellow, blue, and white with many combinations of the same available. 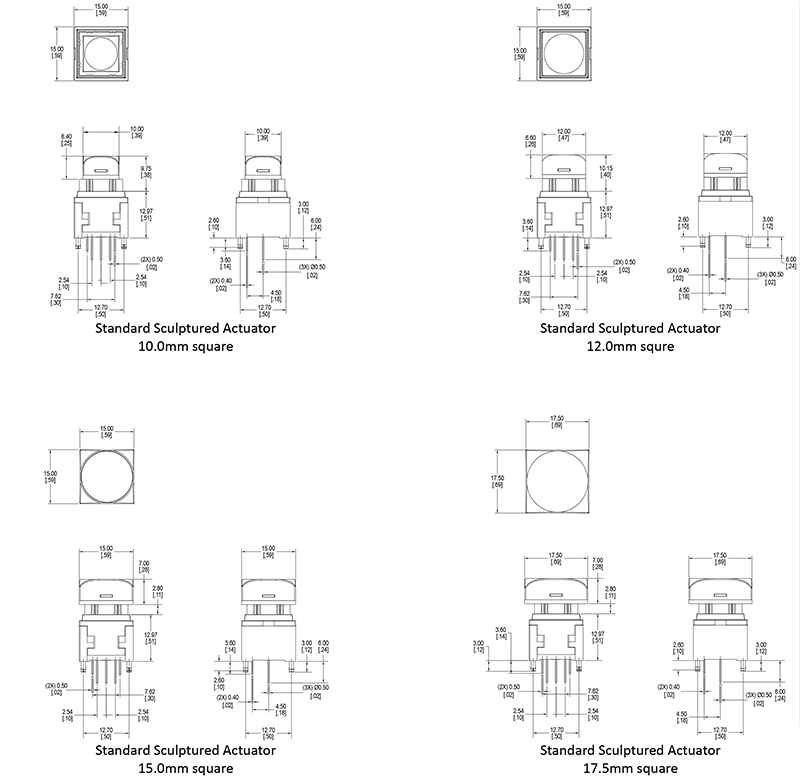 Actuator styles of the illuminated switch include 10mm, 12mm, 15mm or 17.4mm square, sculptured, flat or home key type.